Computer numerical control (CNC) is the automation of machine tools by means of computers executing pre-programmed sequences of machine control commands. 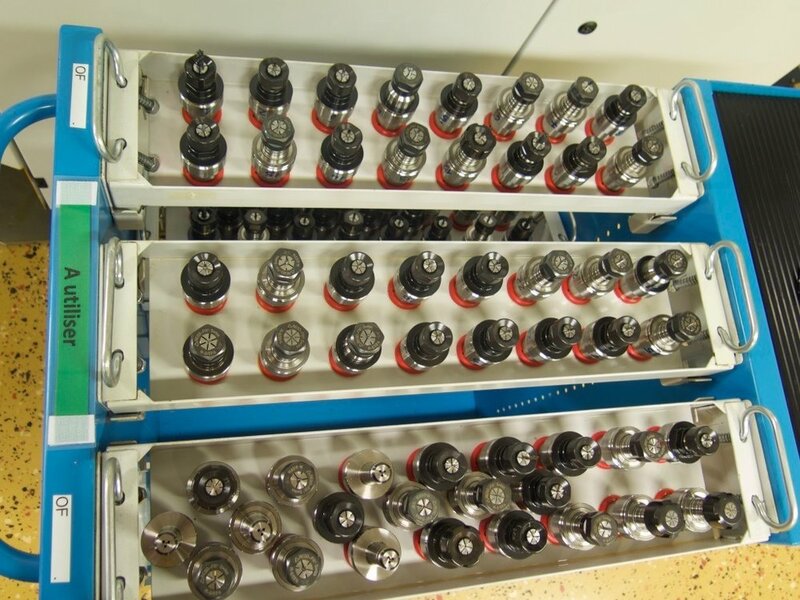 This is in contrast to machines that are manually controlled by hand wheels or levers, or mechanically automated by cams alone such as can be found in the toolroom. In modern CNC systems, the design of a mechanical part and its manufacturing program is highly automated. The part's mechanical dimensions are defined using the computer-aided design(CAD) software, and then translated into manufacturing directives by computer-aided manufacturing (CAM) software. 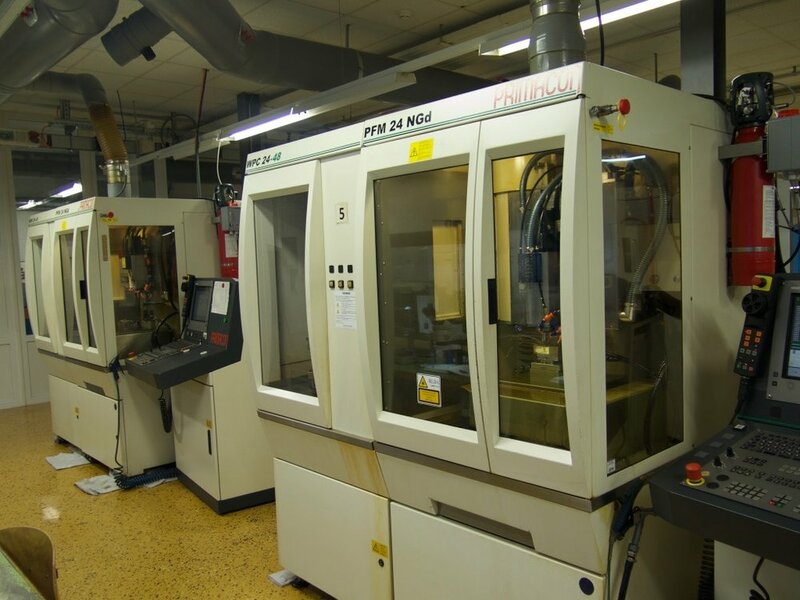 The resulting directives are transformed (by "post processor" software) into the specific commands necessary for a particular machine to produce the component, and then loaded into the CNC machine. The below images are early samples (which are now oxidized) to show the stages of machining after machining and prior to decoration. 1. 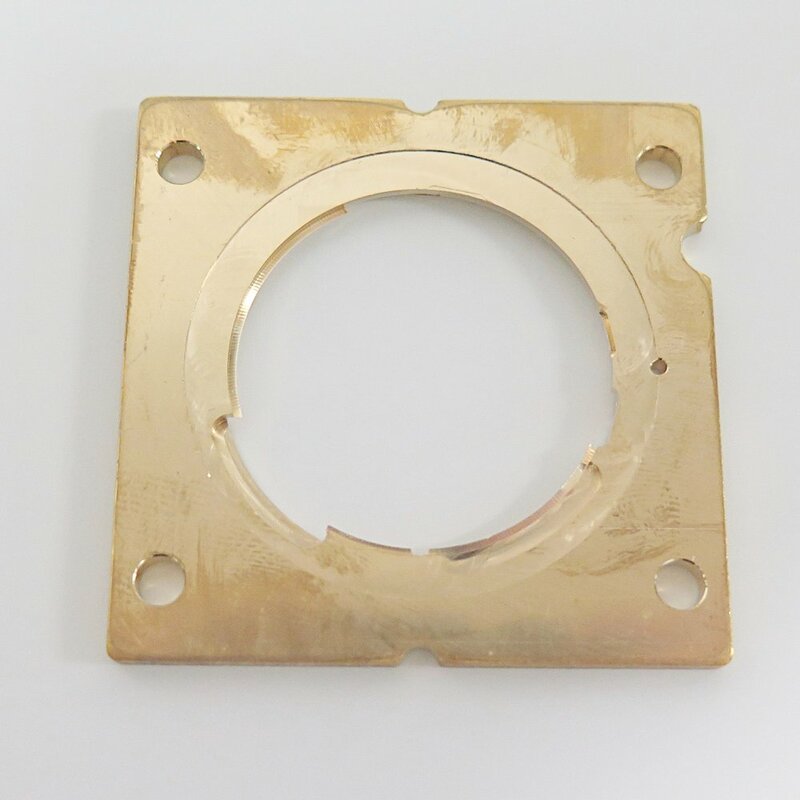 The brass plate which is specifically shaped to be loaded into the CNC machine in one position and can then be reversed to machine on the back side assuring the correct orientation of machining. The 4 holes at each corner locate the plate on the machines bed. 2. The mainplate after being machined but still set into the plate so that the back side can also be machined. 3. The mainplate after being removed from the square plate. 4. The empty brass plate, which will be recycled. In between is a fire extinguisher which is compulsory in case parts such as titanium ignite during machining. The rear door of a machine granting access to its operator to be able to change the tooling with in. Standard measuring equipment used whilst the machine is being set up. The set up can take upto 2 days depending on the complexity of the components to be machined, mainplates being one of the most time consuming to prepare for machining. 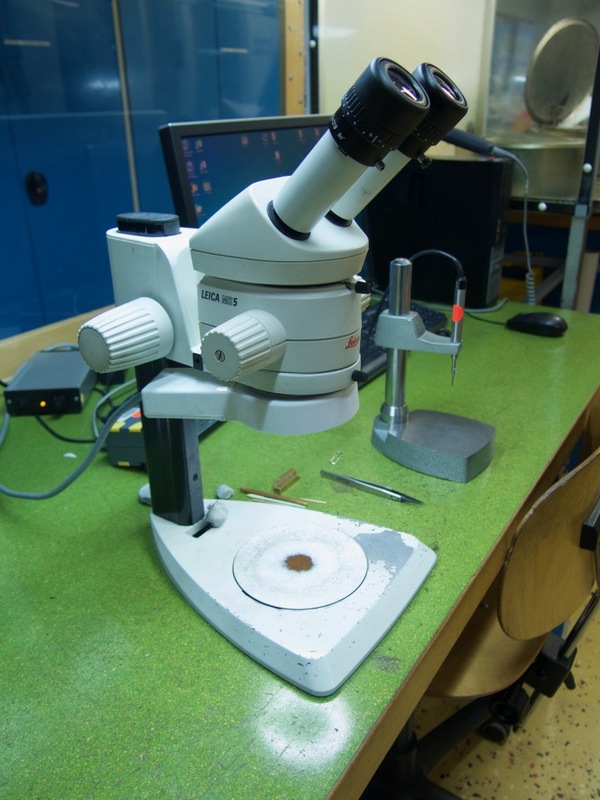 Next to it is a microscope with optic fibre light source. The snake-like multi-coloured truncated tubes send cutting liquid directly to the tools working on the surface of the brass plates, facilitating the cut, finish and cooling the surface in unison, the liquid will also carry away the waste material. There are thousands of milling attachments and drills, for different materials and sizes of cut. The programming of the CNC is influenced by these criteria, each material requires different speeds and often types of cutters, the size of a hole or milled section will also effect the speed of the tool. One simple rule for speed, the smaller the cut the faster the speed, the larger the tool the slower. This aspect of machining is in its own way both a science and an art. Tools can be made in tungsten carbide, high speed steel as well as other modern alloys plus have multiple different coatings depending on the intended use. When the cutting tools are added to the collets they sit in they are measured to assure they are at an exact height before being added to a specific place in the CNC machine amongst 50 or more neighbouring tools, each performing a different task. If one tool breaks during the process, on certain machines lazer detectors will alert the programme that it has happened and stop the machine so that the operator can change it for a new tool.